Winter can be unpredictable, and so can your heating system or furnace if it’s not properly maintained. You could wake up to a freezing cold home because, on the coldest night of the year, the system could break down. Has your furnace started making strange noises? Or, has there been an increase in your electric bills? Perhaps your furnace is running, but it provides only a little bit of heat or not enough? That’s why you want to call the Best. Best Heating & Cooling has been providing quality heating service when you need us for more than 10 years. Our furnace repair technicians are professional, knowledgeable and highly-trained, ready to resolve any heating issues you may have. 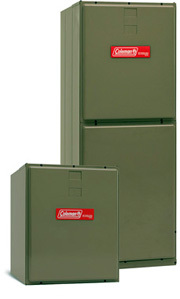 We’ll service and repair any furnace, heat pump and heating system of any brand, make or model. Contact Best Heating & Cooling today for fast, quality repair services in Utah County and the Salt Lake City area.